I always wanted to work the satellites as there seems to be something mystical about them. They aren’t called ‘the final frontier’ for nothing. After talking to Wallace, VK4CBW, it became apparent that this would be quite feasible with a dual-band hand held transceiver and some satellite-tracking software on my computer. My Boafeng GT-3TP would do fine so I downloaded and installed gpredict into my Surface Pro 4. I proceeded to monitor my satellite of choice, SO-50, which I chose because it is an FM satellite. 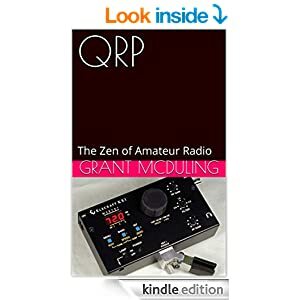 Wallace helped program in the receive and send frequencies into my hand-held; receive frequencies starting at 436.805 and progressing down at 5khz intervals to 436.780 would be needed to take the Doppler effect into account. Transmit frequency remains at 145.850. As the satellite came within range I headed outside and turned on my hand-held, with the squelch turned right down. Pointing the rubber-duckie antenna towards the ground, I put out a call .. and listened. Turning this way and that, I repeated the call until I heard Wallace reply. I had made my first contact. The interesting thing about this was that his shack is only some 300m down the road from my shack, but we were communicating via a satellite in space. The pass only lasted around eight minutes or so; brevity is the name of the game here. 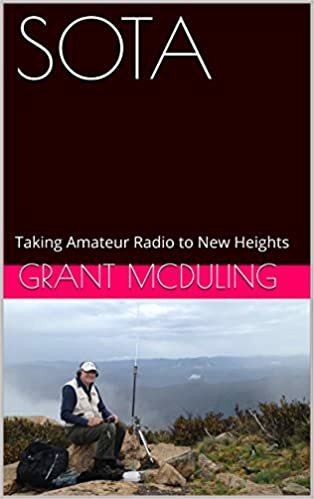 My next attempt would be with an Elk antenna, a specially-designed four-element log periodic antenna that Wallace will lend me. Although I have already activated Mt Ainslie, I decided to walk up there again on Sunday 5 July as Andrew, VK1NAM would be activating VK1/AC-044 Boboyan Ranges, which is a four-pointer. My plan was to do a summit to summit contact on 2m FM. The day dawned cold and wintery, and for Canberra that means foggy too. So it was on with the cold weather gear, including beanie and gloves. I also packed my backpack with my Elecraft KX1, Buddistick antenna, tripod, coax and headphones. Seeing I was up there I would get onto CW as well. The walk from my city apartment was via the Australian War Memorial and up the pathway to the summit from the Remembrance Nature Park at rear of this world class museum. The walk would be 4.5 km return, with some sections being quite steep. The walk is called the Kakoda Track. The path is good and the trees along the way are fantastic, especially when shrouded in mist. A winter wonderland on the way up. At the top I made contact with Andrew on FM and bagged another S2S point. Then I worked VK1VIC and VK1GVC, also on 2m FM. Time now to set up the CW station. While walking along the summit to find a good location to erect the antenna, I came across Al, VK1RX, who had erected a wonderful homebrew 10m two element yagi. He was well into working the USA as part of the 6m and 10m challenge. Al, VK1RX in the thick of 10m action. Once I was organised, I put out a spot and began calling CQ. It wasn’t long before the calls began coming in. I worked VK3PF, VK3AFW, VK2IO, VK2AOH and VK3HRA in quick succession. I was delighted. As I was only using six internal AA alkaline batteries, I was only putting out 1w, so this was well and truly a QRP activation. Summit to Summit: 20 points.